Why does my cat play with its food? Hunter to the core, it's likely you've seen your cat play with its food. Wondering why? We can answer that for you! 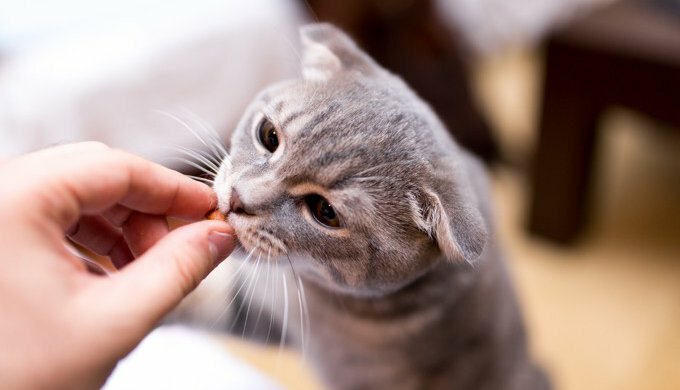 It's not uncommon to see cats play with their food before even tasting what's inside. If you feed your cat dry food, you may have even experienced them attacking the bag as you're pulling it out of the cupboard! Why is this? What's driving them to play or attack when hunger appeared to be the earlier driving force right before dinner? Let's find out! Many cat parents watch their feline friends with something approaching bewilderment after having filled their food bowl. Their cats, instead of eating, have decided to have a one-sided game of catch or wrestling match with their kibble. Specialists have studied this phenomenon to try and find out why this happens. After all, a dog doesn't play with their food - they dive right in, mouth first! All cats have a naturally strong hunting instinct. While this is stronger in wild or outdoor cats than it is for those living the indoor life, this 'hunting' energy still needs to be expended. Cats need to eat, but they also need to hunt and track prey in order to stimulate and entertain their senses. An outdoor cat will eat up to 30 times a day in very small quantities as it scouts and hunts for many bite-sized and sometimes larger-sized prey. On the other hand, indoor cats are not exposed to this same active lifestyle, being given direct access to food via their bowl. As such, the relationship indoor cats have with food is altered considerably. Numerous studies have determined that indoor cats have a stronger propensity to play with their food. This is due to natural urges to avoid boredom and a bid to satisfy their desire for hunting. 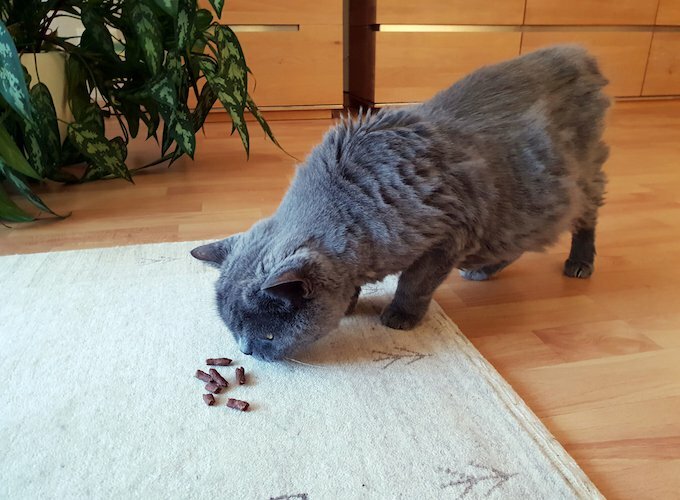 As stimulation is often significantly less for indoor cats living a quieter and more peaceful life it may help to explain why your cat may unleash from time to time with their food, or even with anther household item. If you think your cat may be under-stimulated, take a look at some of these cat toys. More than just an accessory, toys provide a valuable and necessary means of mental and physical exercise to keep your cat healthy and happy. Playing with them together will also strengthen your bond with your fur friend. Does your cat play with their food?